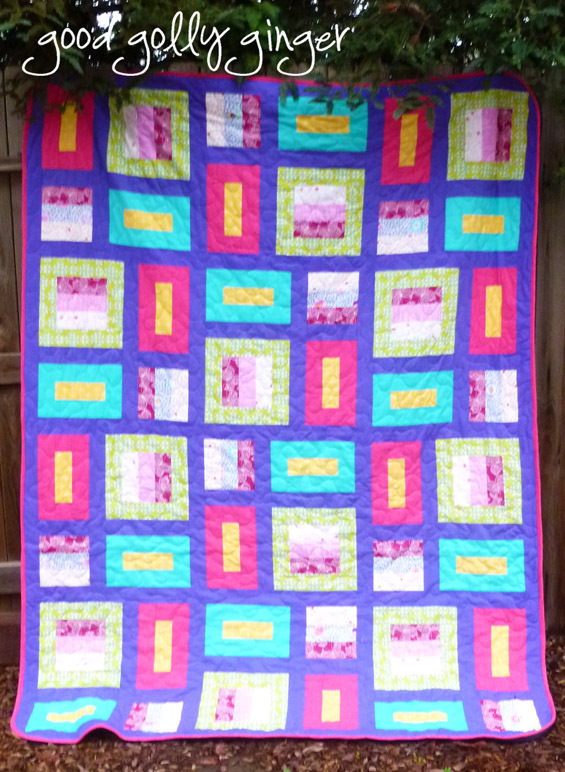 I finished this sweet quilt just in time for Christmas...(with a little time to spare!) The best part of this quilt is that it is a sleeping bag. 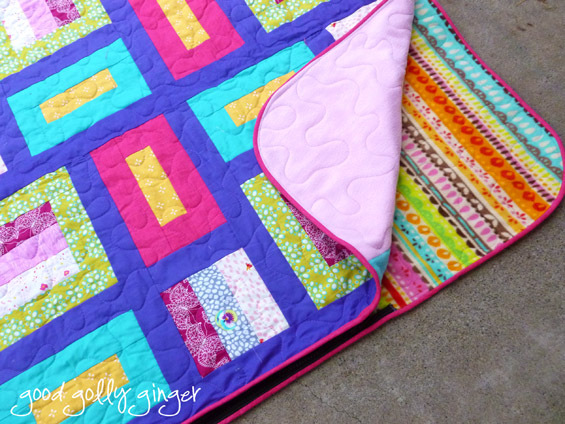 I cleared a lot of fabric from my stash with this sleeping bag quilt. I attached the zipper before adding the binding. It's a 72-inch separating zipper, and then I attached the binding as usual. No problems! I did round the corners for easy zipping. I also used bias binding because of the rounded corners. The zipper runs incredibly smooth. It looks like a completely normal quilt from the front. 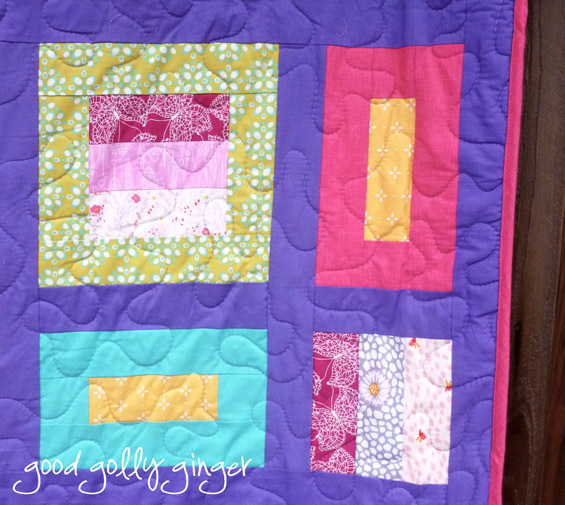 I quickly meander quilted this one. It is backed with fleece and still has a layer of cotton batting in the middle. It is thick and has some cushion to it. I have another quilt already quilted. I will add a zipper and binding today. I am on task and on time for Christmas so far. so cool, did you have a pattern or just wing it??? 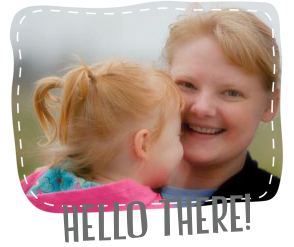 Love your color selections with the pattern and the fact that it is a sleeping bag too boot - how cute is that! Wow!! 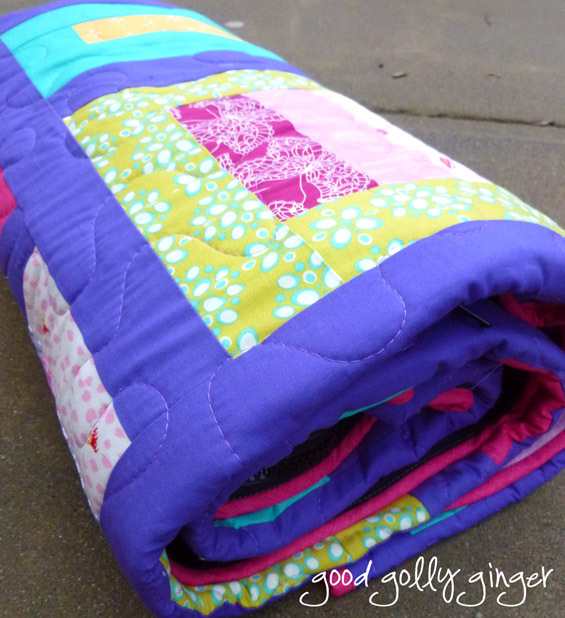 I never ever thought of making a quilt sleeping bag! You are a genius! It is fantastic. Congratulations on your finish. I'm sure the recipient will love it! This is gorgeous! I love that you used fleece for the backing. How clever to add the zipper and make it into this cool sleeping bag. Nice job! Someone's going to be so happy to get this for Christmas! That is an AWESOME idea! I think I will steal this idea for next Christmas for my kiddos, nieces and nephews. Oh wow! That's amazing! 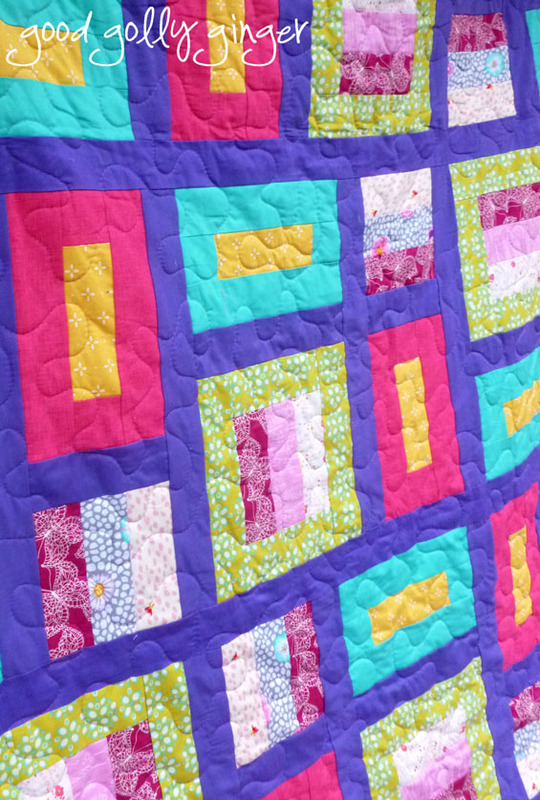 I mean it's a gorgeous quilt before you even get near the fact that it's also a sleeping bag - and that is the height of snugliness!